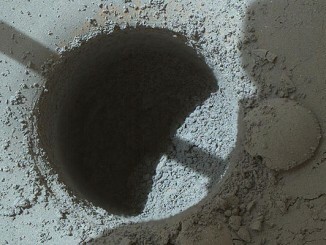 NASA’s Curiosity rover on Mars is currently on the lower slopes of Mount Sharp in a region covered in sandstone where it has just drilled its fifth prospecting hole. 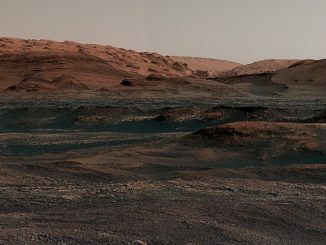 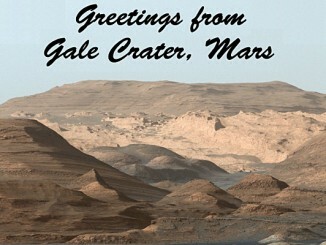 Two weeks ago, still in the same general vicinity, Curiosity took a pair of long-range scenic images toward higher regions of the mountain — beautiful views worthy of a postcard home. 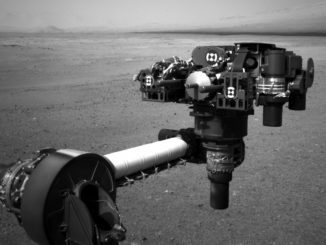 NASA’s Curiosity Mars rover has used its drill to collect sample powder from inside a rock target called “Telegraph Peak.” Examining rock samples like these will help scientists understand how the ancient wet environment of Mars dried up. 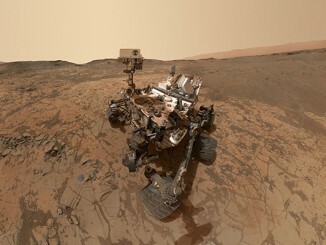 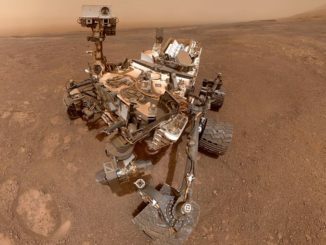 A new ‘selfie’ from Curiosity shows the NASA Mars rover at work at the “Mojave” site, where its drill collected the mission’s second taste of Mount Sharp. 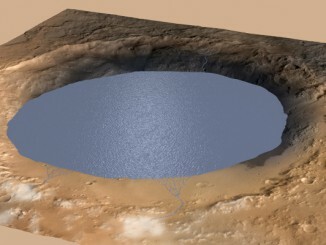 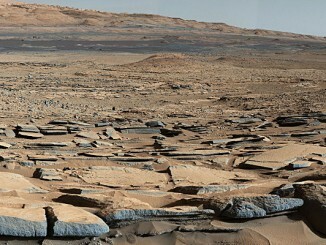 Observations by NASA’s Curiosity Rover indicate Mars’ Mount Sharp was built by sediments deposited in a large lake bed over tens of millions of years, challenging the notion that warm and wet conditions were transient, local, or only underground on the Red Planet. 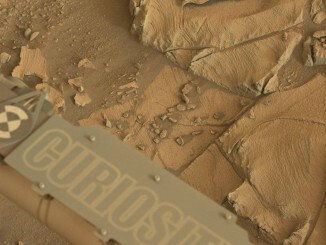 NASA’s Curiosity Mars rover captured an image of the ‘tattoo’ on its arm, with the rocks at the base of Mount Sharp as a backdrop.